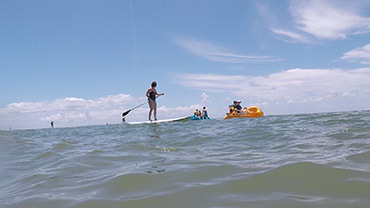 1 hour of water fun on stand up paddle boards, kayaks and pedal boats! BBQ lunch after the water activities! We meet at beach in front of Pirate Park.